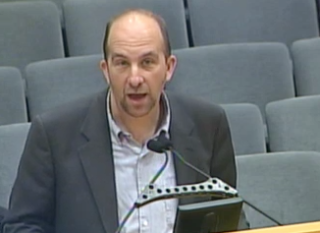 LAUSD board President Steve Zimmer made an unusual appearance during public comment at Tuesday evening’s board meeting to urge people to vote. Make sure you complete your ballot. That’s the message that came from LA Unified school board members at a committee meeting Tuesday night. During the meeting, the board’s Budget, Facilities and Audit Committee heard a presentation from Pedro Salcido, the district’s co-director of government relations and legislative affairs, on key initiatives related to the school district on the Nov. 8 ballot. This year’s ballot is crowded with 17 statewide initiatives. Among the questions to be determined are whether to repeal the death penalty, ban plastic bags and legalize marijuana. The ballot for Los Angeles voters will also contain four city measures, and residents of Los Angeles County will vote on two county measures. There are three statewide education-related ballot initiatives: a school facilities bond, the extension of an income tax for high-income earners, and an initiative to bring back bilingual education. Salcido also discussed a city measure that would bring changes to the governance structure of the Los Angeles Department of Water and Power. LA Unified is the utility’s largest customer. Board President Steve Zimmer made an unusual appearance during public comment at the committee meeting because he does not serve on the committee. He encouraged those connected to LA Unified to register to vote by the Oct. 24 deadline and to get to the polls in November. “It’s very important that we, who know how much our students have on the line in this election in so many ways, that we encourage folks, not only to go to the ballot box, but to complete the ballot,” Zimmer said. Teachers union members will be fanning out across neighborhoods on Thursday in cities throughout California encouraging voters to support Propositions 55 and 58. Members of the LA teachers union, UTLA, will be knocking on doors near LA Unified school sites. authorizes $9 billion in bonds for new facilities or modernization upgrades to school facilities. It would generate $8.6 billion in interest. $7 billion would be allocated for K-12 public school facilities, and $2 billion would go to state community college facilities. Of the $7 billion for K-12, $3 billion would be for new school facilities, $3 billion for modernization of school facilities, $500 million for career and technical education programs and $500 million for charter schools. Of the $7 billion, $1.8 billion is already allocated because there is not enough money to fund these existing projects under the school facilities bond Prop. 1D passed in 2006, leaving $5.8 billion up for grabs, Salcido said. How would LA Unified be affected? Salcido said LA Unified has very few new construction projects in the pipeline, but he said the district could benefit from about $325 million for facilities modernization projects. “We would take the money and spend it wisely,” said Chief Facilities Executive Mark Hovatter. The ballot measure is sponsored by home builders, school construction companies and others. It is supported by both state parties, the LA County Democratic Party and the LA Area Chamber of Commerce. The school board is also in support of it. Gov. Jerry Brown opposes it. A group called California Taxpayers and Educators Opposed to Sprawl and Developer Abuse is leading the opposition. Supporters of the measure have raised $9.7 million so far, according to CALmatters. The top donors are Building Industry Association, Community College Facility Coalition and the Association of Realtors. The opponents haven’t raised any money. See CALmatters’ summary of Prop. 51.
extends the income tax rates under Prop. 30 for individuals who earn more than $250,000 a year and couples who earn more than $500,000 a year for 12 years. expected to raise between $4 billion and $9 billion a year from 2019 to 2030.
the sales tax component of Prop. 30 will be eliminated. most of the money would go to K-12 education, some money would be set aside for state community colleges and low-income healthcare programs. If it doesn’t pass, Salcido said there would be $5.5 billion in state funding of K-12 education programs that would have to be cut. “What it’s done is it’s allowed districts to climb out of the hole that took place between 2008 and 2012,” Salcido said, referring to cuts made following the Great Recession. “The board of education strongly supports Prop. 55, and I hope people will find it on the ballot,” said Monica Ratliff, who chairs the committee. Chief Financial Officer Megan Reilly said the district uses Prop. 30 funds to fund arts programs and to hire guidance counselors, and any funds raised by Prop. 55 would continue to support those programs. The initiative’s supporters have spent $49.7 million on their campaign, according to CALmatters. Top donors include California Association of Hospitals and Health Systems and the California Teachers Association. The opponents haven’t raised any money. The school board has also endorsed Prop. 55. See CALmatters’ summary of Prop. 55.
reverses portions of Prop. 227 passed by voters in 1998, which mandates English learners must be taught in English. the state legislative analyst found no costs are associated with the initiative. under the current law, if a district wants a class to be taught in a language other than English, at least 20 students in one grade level have to request a waiver. Salcido said if Prop. 58 is passed, the district will be able to expand bilingual education programs. State Sen. Ricardo Lara, D-Bell Gardens, is sponsoring the initiative. Keep English for the Children is a group organized to lead the opposition. Supporters, including the California Teachers Association, have raised $1.1 million to promote a yes vote, according to CALmatters. The opponents haven’t raised any money. The school board has unanimously endorsed Prop. 58. See CALmatters’ summary of Prop. 58. Read the Secretary of State’s voter reference guide here. While not an education-related measure, Salcido discussed Measure RRR, which will appear on the ballot for Los Angeles voters. It would amend the city charter to bring changes to the Los Angeles Department of Water and Power. LA Unified is the LADWP’s largest customer. The measure proposes various reforms to the governance structure of the LADWP, that board members must have certain qualifications and the utility must have a four-year strategic plan in place that will dictate rate increases. The LA City Council has approved the measure. Read more about the measure here.